Pomeline has the best fashion in this series, and Kerschl highlights the details of her look in this scene: rings, spike necklace, dark nail polish, awesome boots. 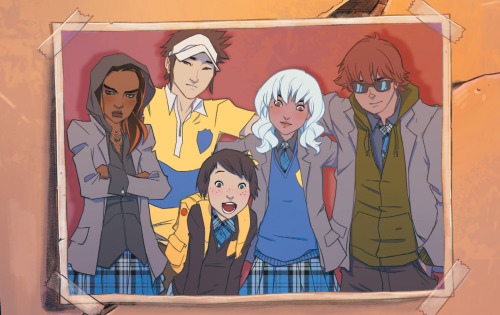 Stigmatization of mental illness is a real-life issue that Cloonan and Fletcher translate perfectly to the world of Gotham Academy. 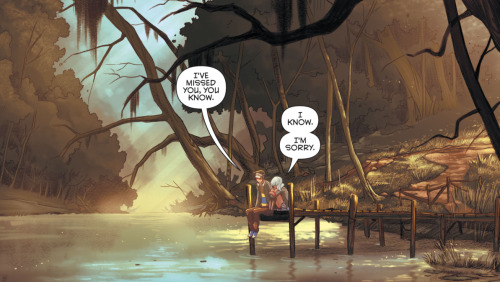 Can we appreciate how moving Olive and Croc’s scenes together are? I’m not crying, you’re crying. The heart and soul of this book is Olive and Maps’ friendship, especially Maps’ unabashed devotion to Olive. 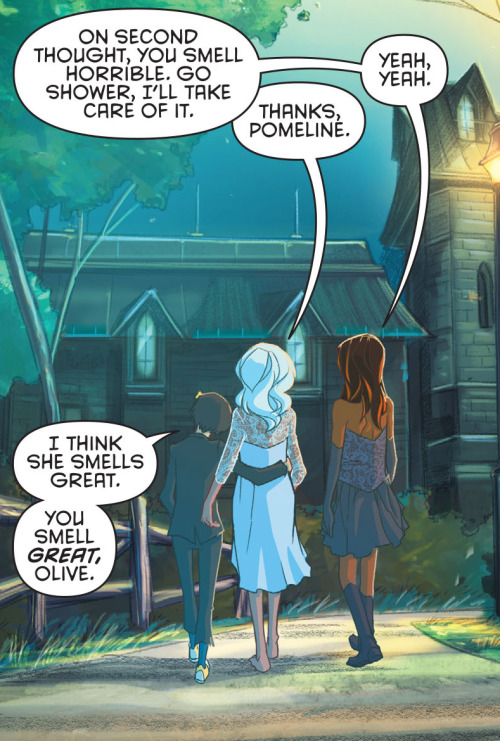 What was your favorite moment in Gotham Academy #1-6? 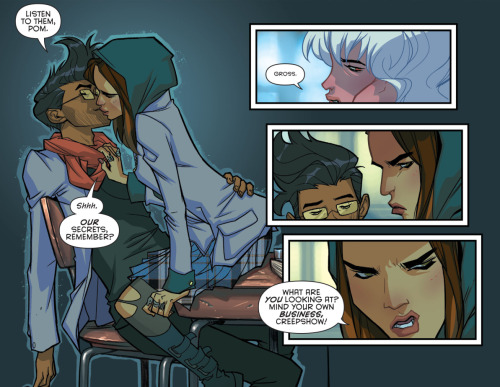 Silk #3 is out April 29!